NT Police are conducting air and ground searches for a 50-year-old man who went missing from his home in Wadeye over the weekend. Senior Constable First Class Paul Veach from the Territory Response Group said Police are concerned for the welfare of Francis Xavier Kolumboort who went missing sometime during Saturday night and Sunday morning. “Members from the Territory Response Group, NT Emergency Services and up to 45 local community volunteers are conducting extensive air and ground searches for Mr Kolumboort. We are utilising a helicopter and quad bikes to assist us in the search. “Family members have told police that it is out of character for Mr Kolumboort not to tell them where he is going, causing them to become concerned. Mr Kolumboort has not been seen since Saturday night. “Information received is that he is a fit and healthy man and is very knowledgeable in bush survival, however with the hot weather conditions, we are concerned for his welfare. “Mr Kolumboort is described as being a Aboriginal man, approximately 175cm tall, of a slim build with grey/black shoulder length hair and a full facial grey beard. He was last seen wearing brown, red and white coloured army camouflage shorts, no shirt and no shoes,” said Senior Constable First Class Veach. Anyone with information is asked to call police on 131 444 or Crime Stoppers on 1800 333 000. NT Police have scaled down an air and ground search for a 50-year-old man who went missing from his home in Wadeye over last weekend. Members from the Territory Response Group, NT Emergency Services and up to 45 local community volunteers have been conducting extensive air and ground searches for Mr Kolumboort since he was reported missing. Local Police and community volunteers will continue their efforts to locate Mr Kolumboort. 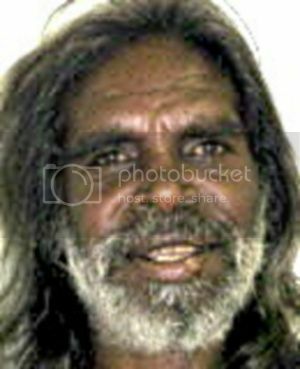 Mr Kolumboort is described as being an Aboriginal man, approximately 175cm tall, of a slim build with grey/black shoulder length hair and a full facial grey beard. He was last seen wearing brown, red and white coloured army camouflage shorts, no shirt and no shoes. Family members say the man is a capable bushman who knows the region.